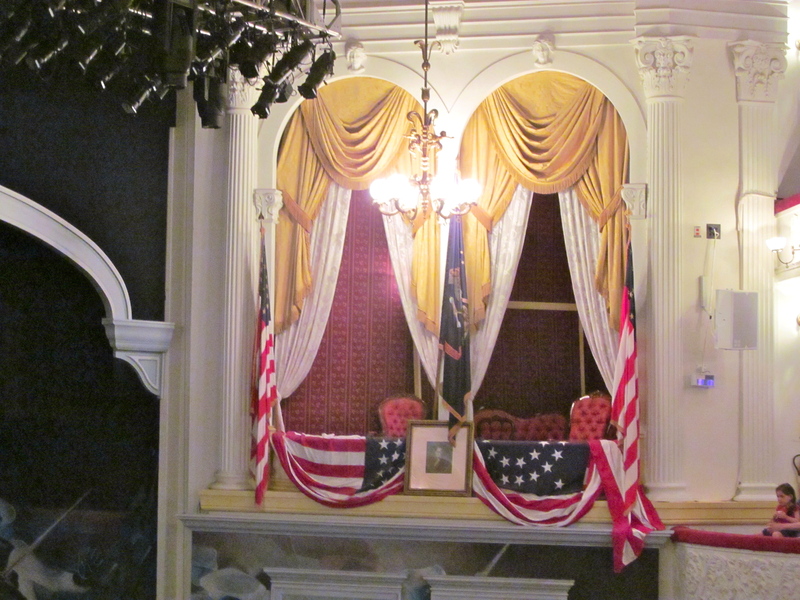 Last month we were in Washington, D.C. and we visited the Ford’s Theatre Museum and Center for Education and Leadership. 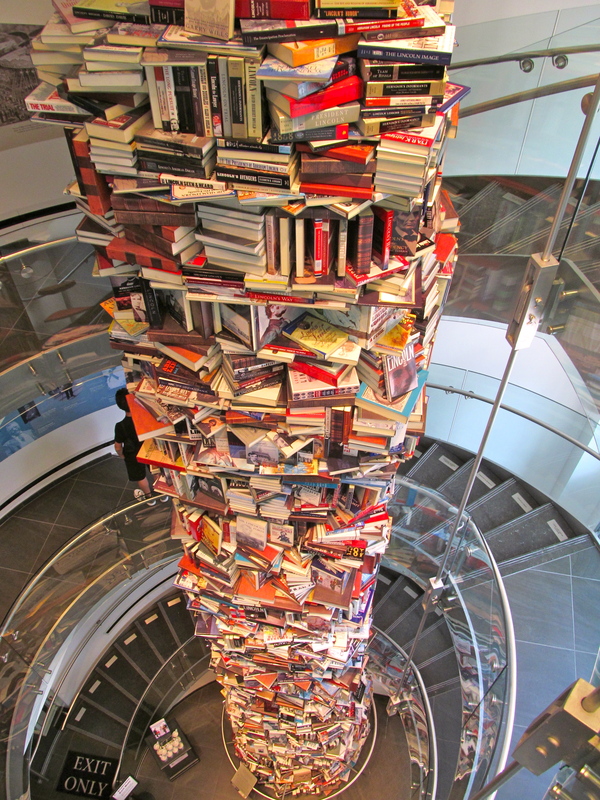 One of the most amazing sites was the 34-foot tower of books about Abraham Lincoln. Fifteen thousand books about our most honored and reveled president in history proves that it is unlikely that the fascination and desire to learn about Lincoln will never end. My son and I are definitely intrigued to learn every detail about Abraham Lincoln’s life just like all the authors of those books and the millions that have read them. 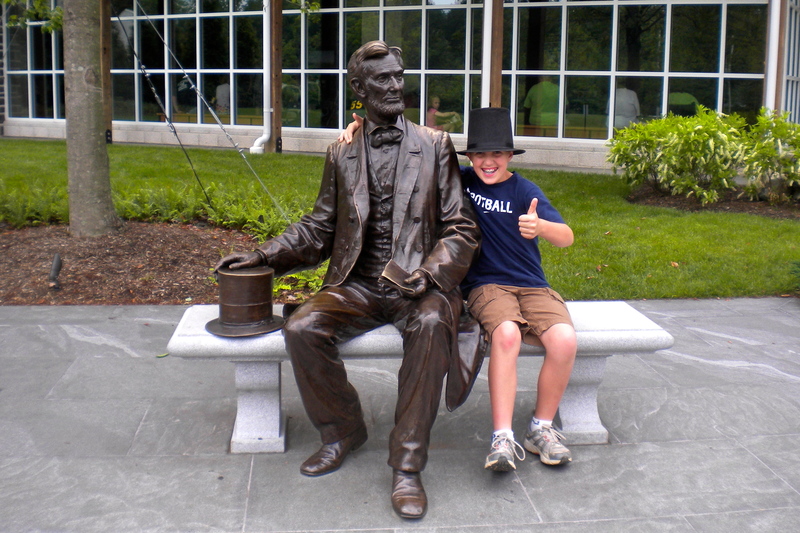 Of course I have read some great books on Abraham Lincoln (Lincoln on Leadership, Killing Lincoln, and Presidential Courage which highlights Lincoln’s presidency in three chapters) and my son has read Chasing Lincoln’s Killer in school. 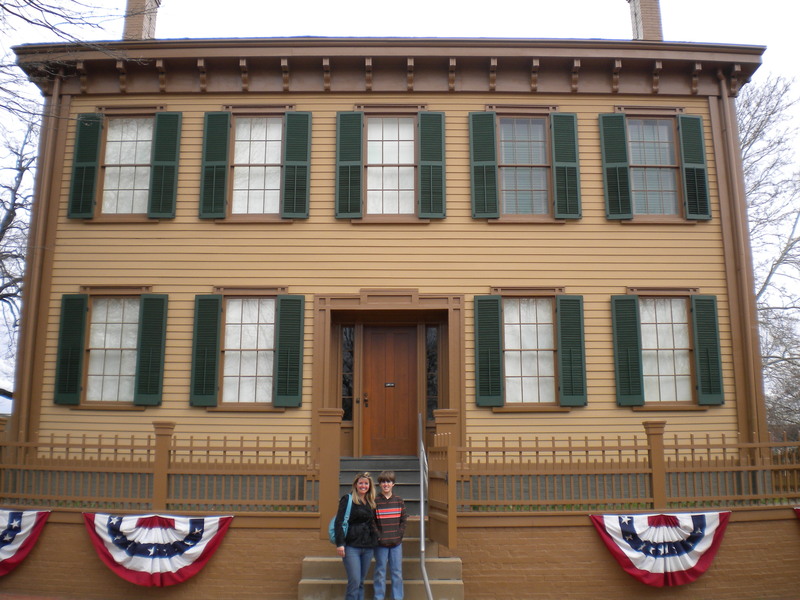 Learning about Lincoln from the written page combined with our love of historical travel has put us on a “Lincoln Expedition” over the last couple of years. 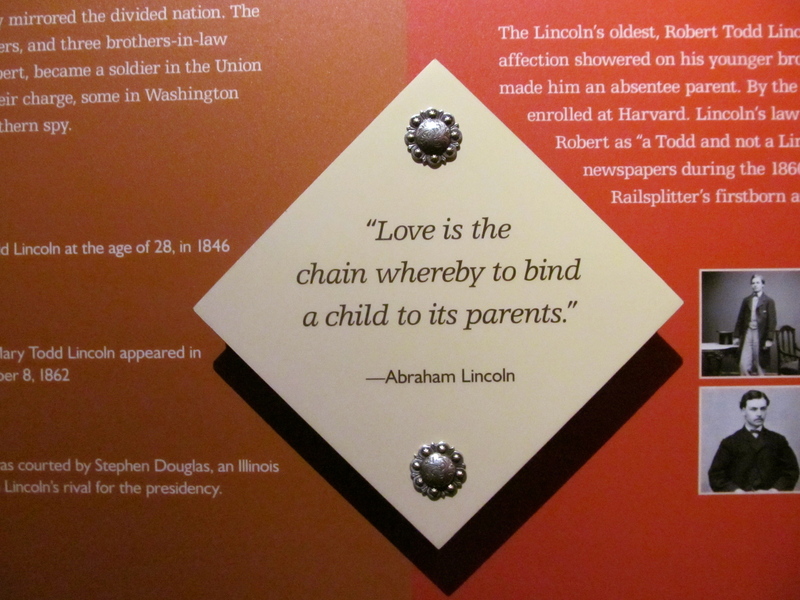 Below is a picture gallery of the places we visited to learn about one of our country’s greatest presidents who had the character and courage to preserve our country and abolish slavery. I wish I could tell you that I had a favorite place, but seeing his humble home in Springfield, Illinois, going to Gettysburg, following his second inaugural ball dance steps in what is now the National Portrait Gallery, or seeing where he lost his life at the Ford’s Theatre makes it too difficult because each place had their own historical significance and I felt a connective pull to history at each visit. One place I will never get tired of seeing is the Lincoln Memorial and I can’t help but stand in awe each time I visit. I love it so much I want to go to Chesterwood in Stockbridge, Massachusetts to learn about Daniel Chester, the sculptor of the memorial. 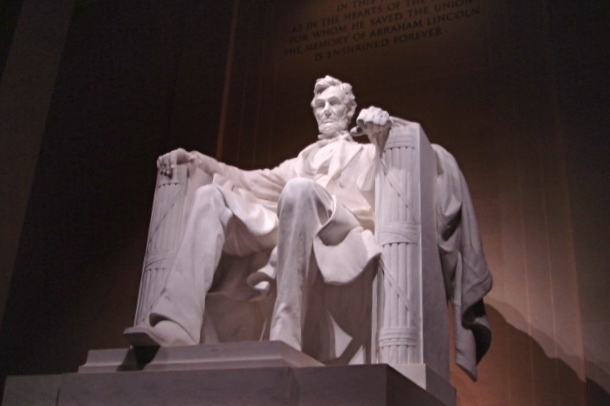 In addition to visiting Chester’s home, believe it or not, there are numerous other places we want to visit to increase our knowledge about Lincoln and making our way to Kentucky is on our list of places to see. Until our next trip, we have countless memories of a president that I sometimes feel like I personally met. We are also counting down the days to two new movies. On November 16th Daniel Day-Lewis will star in the new movie Lincoln. Killing Lincoln which is based on O’Reilly’s book is set to air on Nat Geo Channel in early 2013 with Tom Hanks. Lincoln’s legacy will forever live. 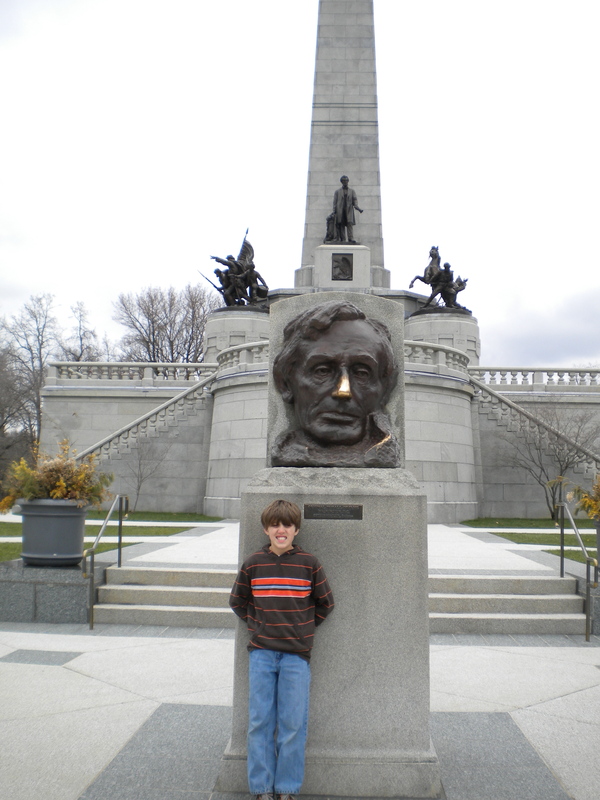 2009 – Celebrating the bicentennial of Abraham Lincoln’s birth by visiting his home in Springfield, Illinois. 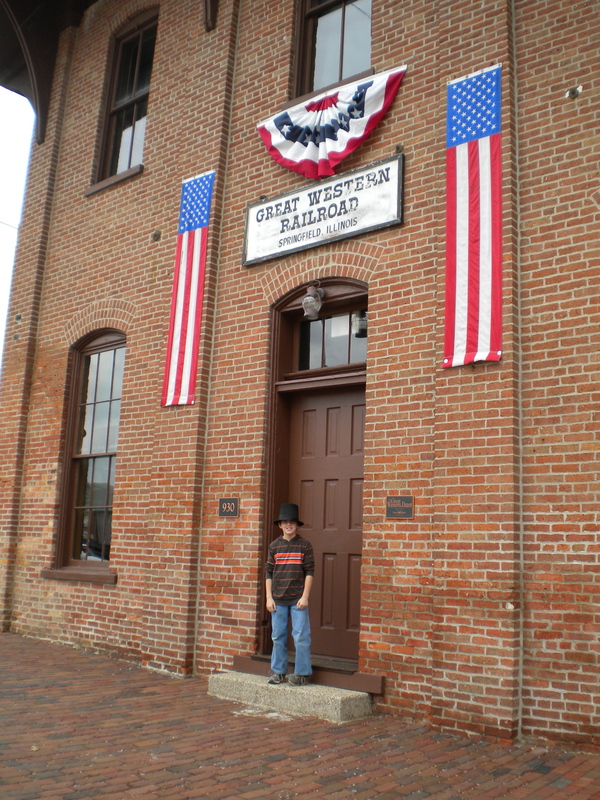 After a short speech to his friends and family who came to see him off, Abraham Lincoln left the Great Western Depot on his inaugural journey to Washington with his oldest son Robert. 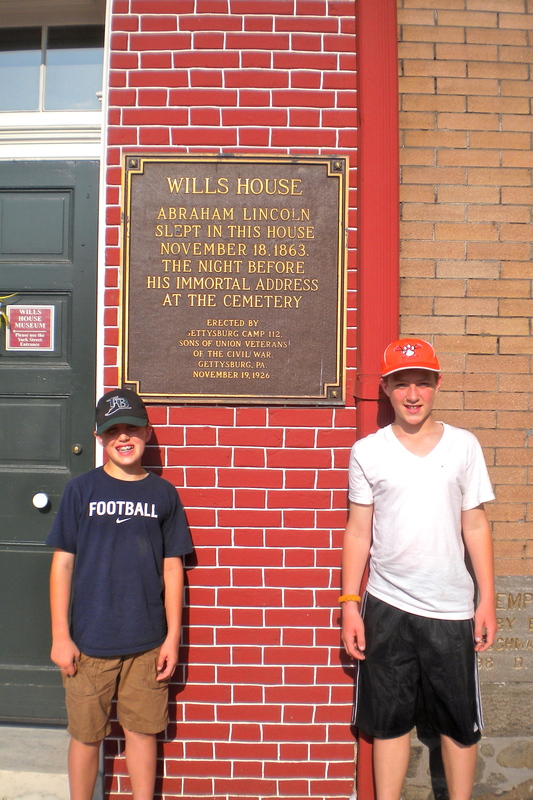 Abraham Lincoln crafted the Gettysburg Address at the David Wills House. 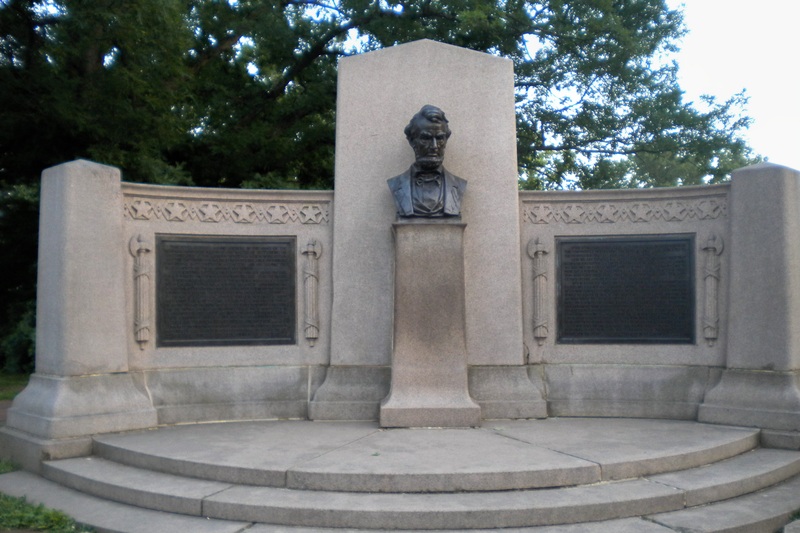 This monument marks where Lincoln gave the Gettysburg Address. 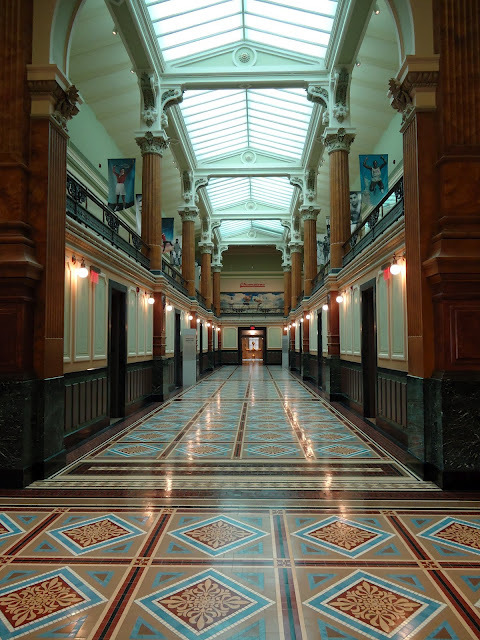 The National Portrait Gallery used to be the U.S. patent office…it is one Washington’s oldest public buildings, being built only after the white house and capitol. When we visited, we were lucky enough to enjoy “The Honor of Your Company Is Requested: President Lincoln’s Inaugural Ball” Exhibit. 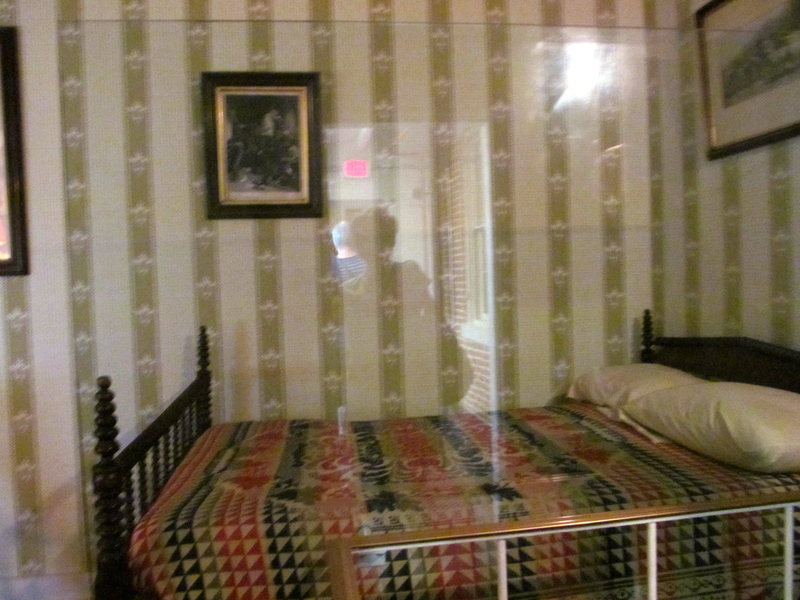 The bed in the Petersen House where President Lincoln took his last breath. 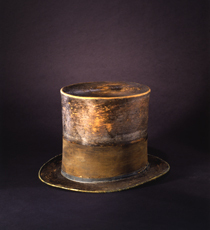 The hat that Lincoln wore the last night of his life is on view at the National Museum of American History. 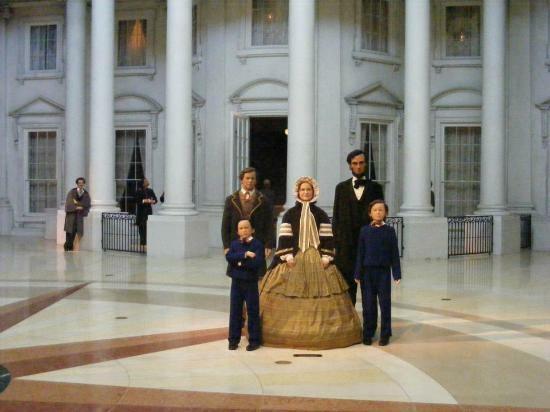 The final resting place for Abraham Lincoln and all of his family except his eldest son. Robert Lincoln rest at Arlington National Cemetery in Washington, D.C.
One of the most beautiful places in Washington, D.C.
What books have you read about Abraham Lincoln? 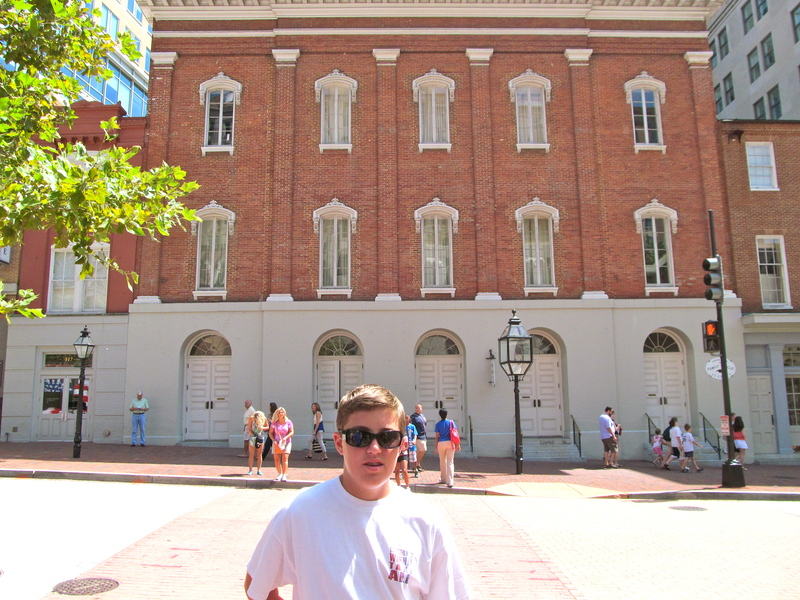 After I read Bill O’Reilly’s Killing Lincoln, I had to see the Ford Theater and the Petersen house for myself! Have you ever read a book that lead you to a historic site? Ah yes, I, too, am a big fan of Honest Abe’s. But being from Illinois, I may be a bit partial 🙂 I totally know what you mean about the Lincoln Memorial. It is one of my favorite sights in DC. Have you seen it at night? It’s stunning and even more moving.